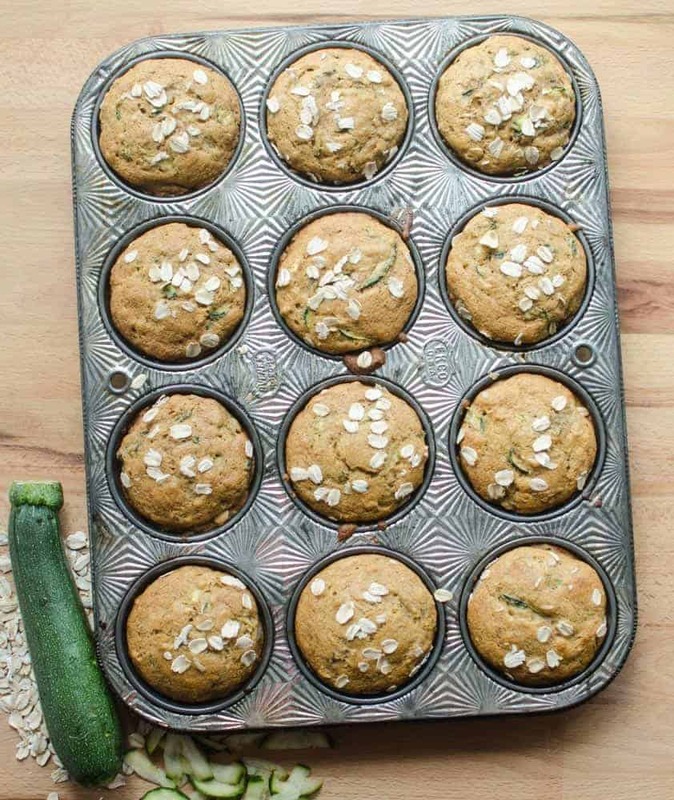 These Whole Grain Zucchini Muffins are made with whole grains, natural sweeteners, and vegetables. Your whole family will love them! There are few things more delicious than zucchini desserts. 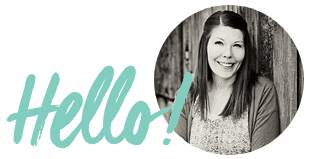 I love chocolate zucchini cake, zucchini bread, and of course, zucchini muffins! They are always on my list to make during the summer. I love these simple treats because they are actually healthy! My kids have no idea, and I’m not sad about that. We love these and I make them all of the time! 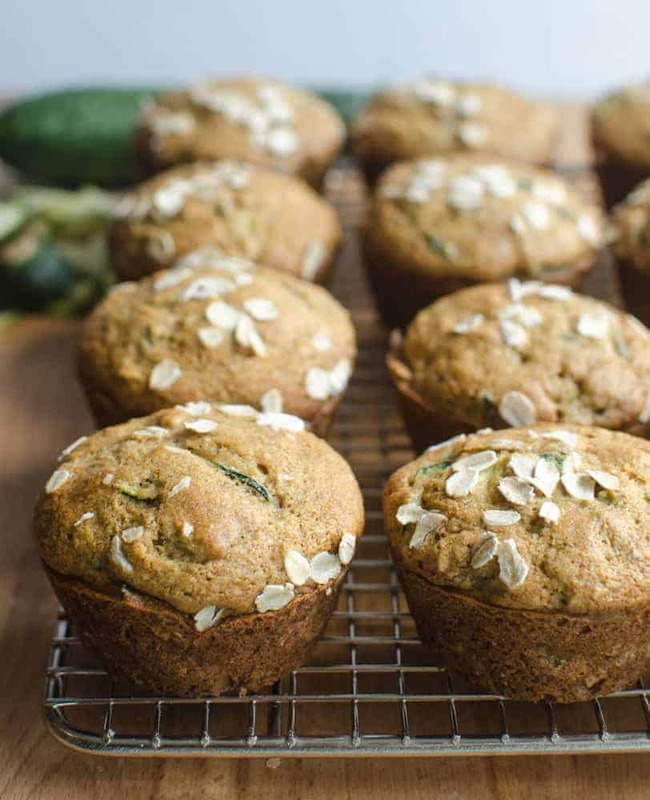 Here’s what you are going to love about these zucchini muffins: they are made with whole grains, natural sweeteners, and vegetables! What’s not to love? I make these to have with scrambled eggs at breakfast, for standalone snacks, and to serve with dinner when I’m making soup or chili. They freeze great and you can double the recipe without any issues. This is a recipe you are going to come back to again and again. When it comes to the natural sweetener, I normally make these with pure maple syrup. It’s light, sweet, and there’s no indication of “maple flavor” in the end product. I have also made these many times with honey instead of maple, or a mix of the two if I’m short on one. The honey muffins have a bit of a honey flavor and seem to be a bit sweeter. Use what you have – we like all of the options! When it comes to the whole grains, I use white whole wheat flour plus some old-fashioned oats. White whole wheat flour is a little lighter than a traditional whole wheat flour (which is milled from hard red wheat, whereas the white whole wheat flour is milled from soft white wheat grain). It’s still a great whole grain, but tends to be less “wheaty” in flavor and has a lighter texture when baked. I’d highly recommend reading your labels and finding the white whole wheat flour; it’s perfect for muffins and baked goods. I have used all kinds of things for the oil in this recipe, too. I normally use a bit of melted coconut oil, but I have also used melted butter and avocado oil too; all of them work well. If you can’t tell, this recipe is very forgiving and delicious! If you don’t have maple syrup on hand, try the honey. If you don’t have coconut oil on hand, try some melted butter. If you you’d like to make this more of a treat, a cup of dark chocolate chips mixed into the batter before baking is perfect. It is great to keep a second batch in the freezer too, for busy mornings. Just let the muffins cool to room temperature, stick them in a zipper-top freezer bag, and freeze for up to a month. Let them thaw at room temperature for about 40 minutes before eating. I hope you try these and make them again and again. I know they’ll become a fast favorite in your home, just like they have in mine. These sounds and look amazzing! 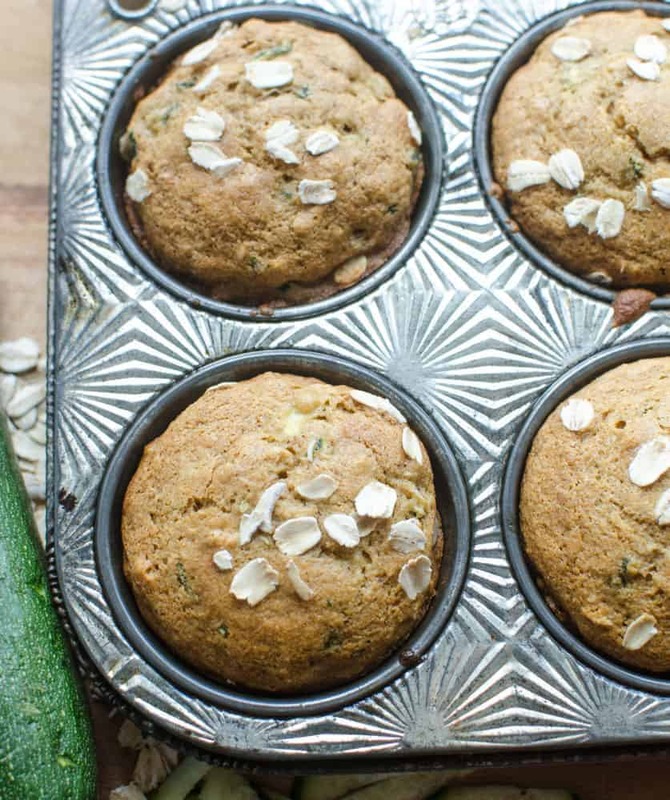 I have been wanting to try my hand at baking with zucchini like this and this looks like a great way to do that!! Any way I can sneak some healthyness into something without my kids knowing is a high-five to myself (and to you too 🙂 )! Haha!! Hope you have a great weekend! This looks absolutely delicious and I can’t believe it’s totally healthy – yum! Great recipe for kids lunches! A little more dense than regular muffin recipes but still tasty! These are DELICIOUS! 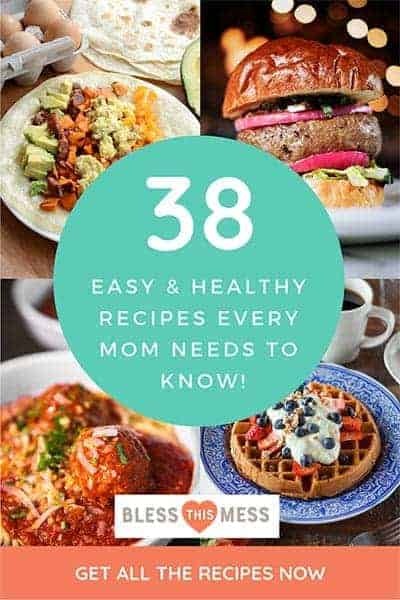 Tried it this past week and they made a GREAT quick breakfast!